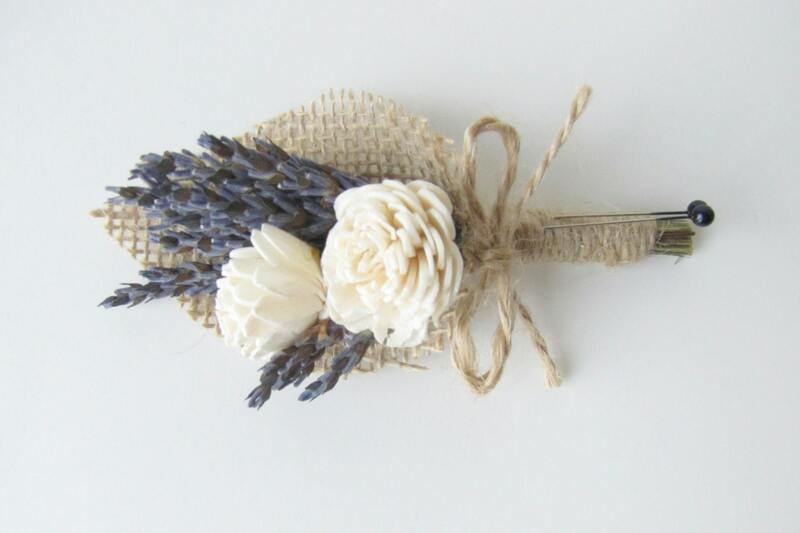 This cute, simple and rustic boutonniers make a great keepsake after your event. 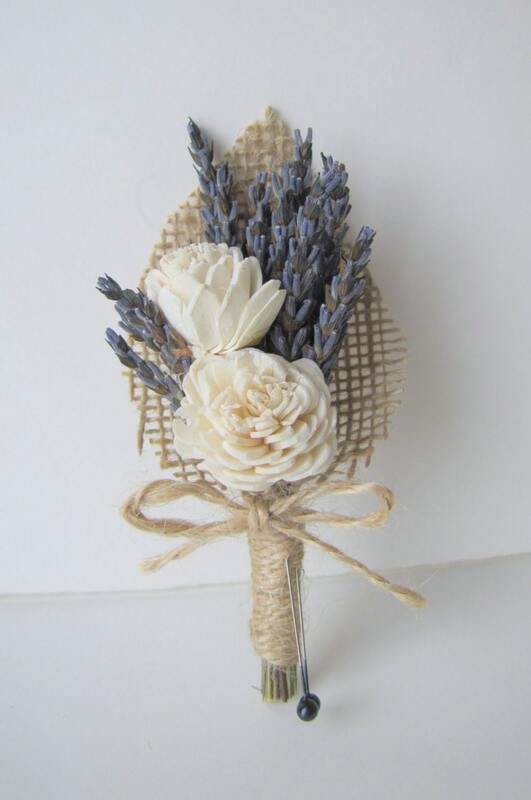 Great for spring, summer, outdoor garden or beach weddings. 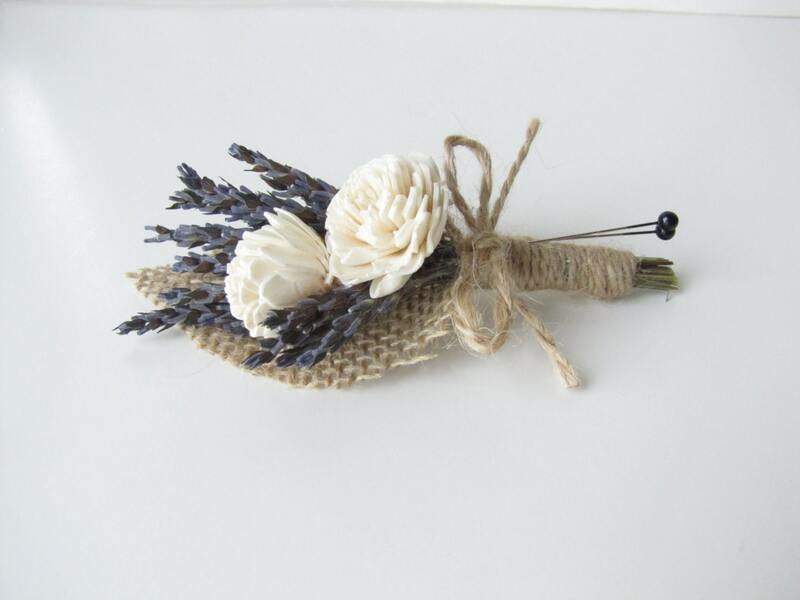 The boutonniere is made with fragrant dried lavender, two miniature sola flowers, a tan or natural colored burlap fabric leaf and jute twine. 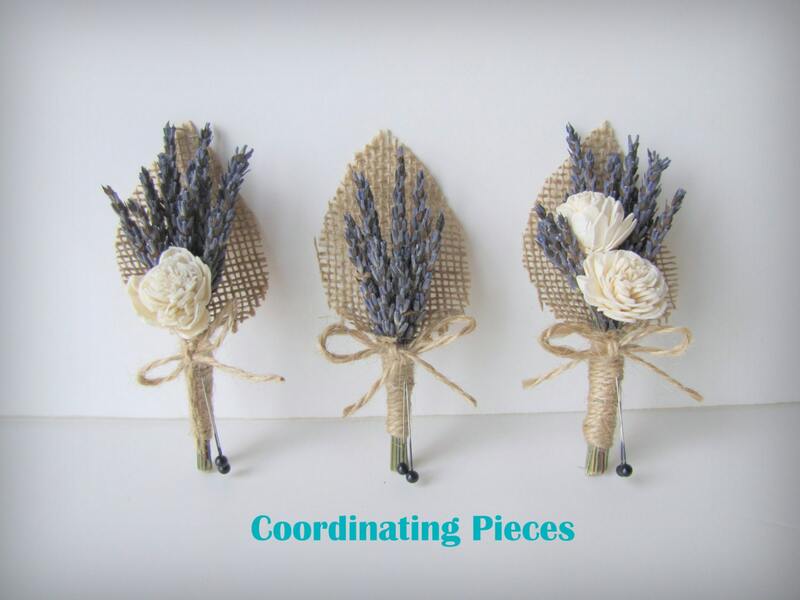 Black boutonniere pins included. Sola flowers are not fresh flowers. They are handmade with balsa wood that feels like thick or paper in person. Arrived quickly and well packaged! In love with the way it looks! :) :) Beautiful, will buy from again!